Across industries, companies are struggling to manage inventory in complex global supply networks, trying their best to match smooth uninterrupted supply with increasingly volatile customer demand. Inventory shortages often freeze operations and sometimes cause shutdowns, costing companies their profits and public image. To avoid potential shortages, enterprises often over-stock, effectively stalling functional capital and hurting the returns on equity and assets. In a volatile supplier market driven by uncertainties and risks, many companies are opting for agile processes and systems for more effective supply chain management. The key characteristics of an agile supply chain are its flexibility and resiliency. It's important to differentiate this concept from the ethos of lean supply chains and lean manufacturing, which focuses primarily on trimming “fat” (e.g. inventory, cost) wherever possible. Agility is defined as the ability to respond rapidly to unexpected changes and events while maintaining consistent customer service levels, service level agreements, liquidity, and cost structures (The Agile Supply Chain, n.d.). Research by McKinsey & Company indicates 94% of companies implementing agile supply chain practices could deliver, on-time and in-full, while maintaining inventories of no more than 85 days. Companies that failed to follow agile practices maintained 108 or more days of inventory and managed 87% on-time deliveries. Demand Management and Forecasting. Rather than focusing on traditional ‘push’ models for supply chain demand management that are driven by a view of orders, shipments, and inventory, invest in more dynamic agile ‘pull’ models that are consumer centric and driven by real market trends and point-of-sale demand data. This will facilitate precision in forecasting and responsiveness (Johnston, n.d.). The goal is to manage virtual supply chains that are information based rather than inventory based. End-to-end Collaboration. Collaborate with carriers, suppliers, and logistics providers to understand better opportunities to improve business term flexibility, operational savings, and demand, capacity, and business continuity planning. Specifically, leverage customer relationships efficiently to improve demand visibility and supplier relationships to improve disruption visibility and time-to-recovery. Advanced forms of collaboration incorporate process integration using automated systems, e-business solutions, etc. Responsive Systems and Analytics. Develop responsive sales and operating plans to incorporate supply, demand, financial results, inventory, and customer service, based on a robust analytic capability. Resilience and Risk Management. Incorporate capabilities for proactive supply and demand chain risk identification, quantification, and prioritization, as well rapid incident and crises response (e.g. 24/7 supply chain event detection, monitoring, and impact analysis). 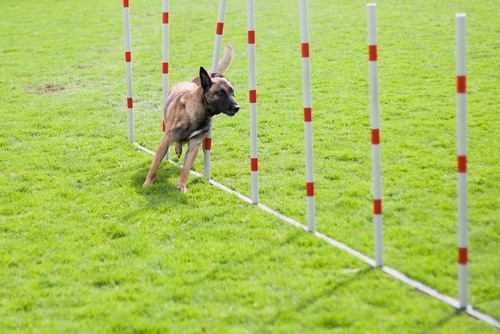 Design for Agility. Leverage “design for agility” or “design for resiliency” concepts which identify and remediate product design decisions which can negatively impact product availability, such as choosing non-standard components requiring single or sole sources. Process Ownership. While defining the S&OP policies (The Agile Supply Chain, n.d.) ensure that accountable authorities are assigned to drive process changes and on-going change management. Christopher, M. (n.d.). Creating the Agile Supply Chain. Cranfield School of Management. Jari Collin, D. L. (2006). Plan for supply chain agility at Nokia. Emerald Group Publishing Ltd .
Raoul Dubeauclard, K. K. (2015). How agile is your supply chain? McKinsey Quarterly. The Network Approach to Inventory Management . (2015). A GT Nexus White Paper.